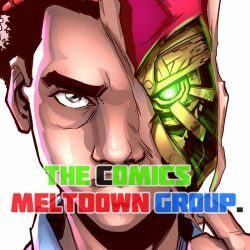 We are the Comics Meltdown Group. In line with the name of the group, we break down comics, Manga and All other Forms of Graphic Novelization. Simply, we love Comics! Aje #3 is a Transcendental book of Art Marvel. We love Comics. We worship great comics, and this is one. Wale Awelenje is an Admin and a day one member of the comics meltdown group. So, we are not surprised with this monstrosity of a comic that came out of his mind. But, we get ahead of ourselves. There was plenty of Hype surrounding this comic and we were not invested until we read it. Holy S#&*%! This comic is beyond awesome and maybe created by the gods for the gods! Lets start from the Line Art!, oh wow!. Oz had to have been on alien herbs to have drawn this!. The Line art was a wondrous experience and every dot, every line and hatch spoke of supreme purpose. The line art was inspired to say the least and honestly made the experience of reading the comic ethereal in form and nature. OZ should proud of himself for this game changing art at the very least. We are happy that this comic is an African one as it speaks to the potential hidden on the African Continent. The Colours were out of this planet!. MAX has shown the Madness he his well know for artistically. The colours boosted the art and made the pages a pure pleasure to look at. We were honestly worried once we saw the sheer amount of details on the lines but MAX buried our worries with his ethereal splash of colours around the comics. One of our reviewer keeps saying his eyes are still bleeding from the sheer awesomeness. This comic could not have been easy to colour yet, Max pulled it off! The script written by Clock Penalty(wale) obviously set a very high standard for the comic from the get go and we were happy to see the words match the script line for line. This comic was easy to read and it advances the story of AJE into an overdrive not seen in the last issues. This comic was a great read! This is a great Comic, and honestly, we don’t know if it gets better than this. This is expression, this is Art. Comic Republic has made pure magic with this book, we cannot wait for what they do next! This is a great comic book. End. and tell us what you think!! 4.7 out of 5 stars! African Comics Writers are here…Now. In the African/Nigerian Comics/Graphics Novels clime, Writers – Comics Scripts Writers are/ have always been relegated to the background. The Comic book writers is just as important. In the process of making any comic, the sigil of any great comic’s narrative starts and ultimately stops with the writer. Notably, no one can do everything. In same manner, no Artist can truly make a great comic without a great writer. Significantly, this then begs the query on why writers are ignored and relegated to the background in Nigerian… No, African Comics. It is truly mind boggling. Stan Lee, Micheal Bends, Hickman, Greg Rucka, Grant Morrison, Frank Miller, Scott Snyder and the almighty Robert Kirkman of Walking dead fame are a few of Comic Writers who have attained godhood and fame through the craft of comic script writing. Please, realize that this is not undermining of the ARTIST’s penultimate role in bringing the visuals to life but an exemplification the Writer’s role in this process. It stands to reason therefore that, hopefully, that African Creatives will start employing and searching for talented writers in bringing great works of art to reality. Comics that will survive the test of time and trends. If Writers are not given their due role in the industry, it is only trite that current wave of poorly written Comics will be sustained leading to the inevitable demise of the industry. This is a secret that the successful companies have grasped, maybe the grassroots need to accept this physical evidence as well. This is the next level. The African Comic book scene is no longer in its infancy. Its well on it way to a well deserved adolescence at which stage, the excuse of ignorance will no longer water but be treated as a pariah as well. 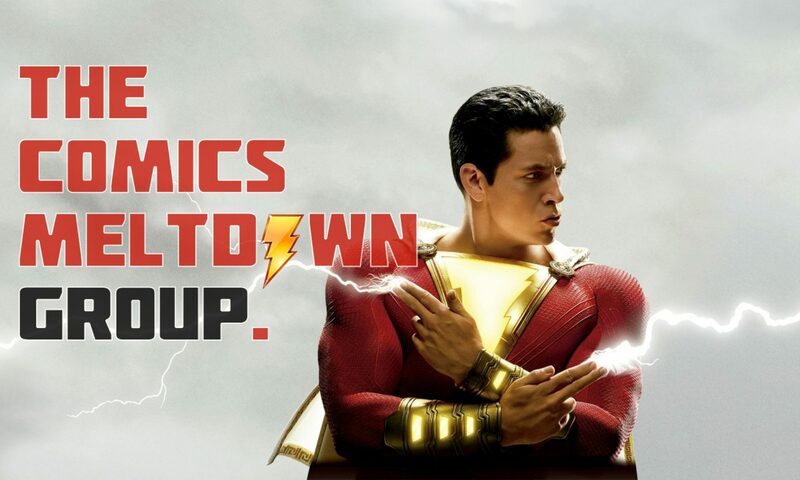 There are several great writers in the industry and earlier last month, the group; The Comics Writer’s Meltdown Group held a competition in which it called for scripts. The quality of the scripts were not only mind boggling but eye opening as well. By the Reporter who strikes. The Winner of the 1st Comics Writer’s Meltdown Writing Competition is…! The Writer’s Group Commenced a Comic Script Writing Competition on the 29th of July, 2018. Five Comic Writers/Creators participated in the competition and delivered astounding works of Fiction that were both masterfully written and composed. – And the Admin of the group; Akintoba Kalejaye & Wale Awelenje. The Judges poured over the scripts and finally came up with a decision. But first, it is important to state that all participant did extremely well. Below is an exemplification of the effort of each and every participant. – Babatunde Ajibulu’s script was very strong script, even though it was not strictly ordered, the story was pleasant to read and he followed the order of the themes of the competition. His script was Climatic!, and in the best way!. – Patrick Aguisi’s script was masterfully ordered, following the theme of the competition to a letter, His story was refreshing even if not thematically morbid as some other scripts, it was a delight to read!. – Olatunde Olufowobi ‘s script was well written, the story was a bit groggy but it did not deter from the intention of the writer. The thematic changes were well intention-ed and well received!. – Abu Bello’s script was a joy to read. It was so well written that some of the Judges commented on his masterful use of English and attention to Grammar. The script ignored a tiny bit thematic rules of the competition but, this did not in any way remove from its excellent nature!. – Thorpey Samuel’s script was very imaginative and straight to the point. Even though its ordering and grammar were suspect, it still did its job in conveying a powerful story to the judges!. But… Ultimately there can be 1 winner. The Judges collectively chose: Mr. Patrick Aguisi! Please read the scripts above and tell us what you think!